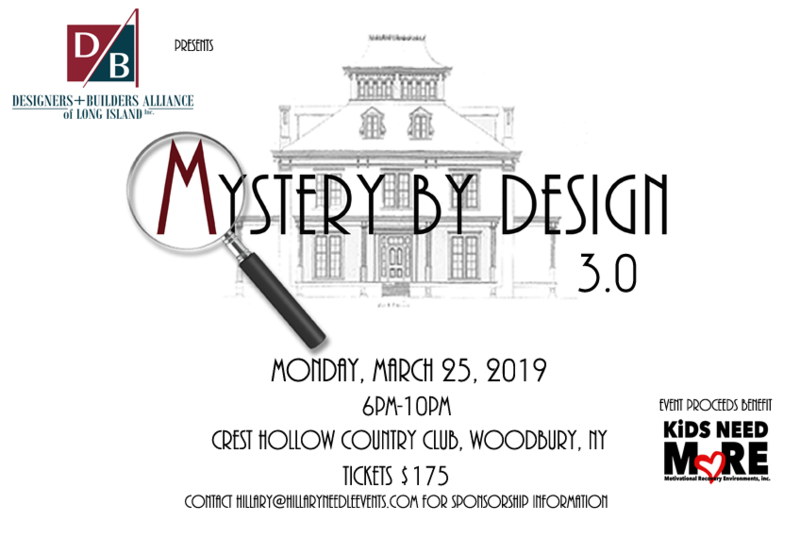 The Designers + Builders Alliance of Long Island is thrilled to announce the 3rd Annual Mystery By Design Event!! Last year was a resounding success and this year we are striving to have an even bigger and better event through your support! Monday, March 25, 2019 Crest Hollow Country Club 6:30 – 10:30 p.m. So save the date, and tell your friends, because Mystery By Design will be a night to remember!